Tropical cyclone Dineo – a CAT1 storm – just off the coast of Mozambique on 15 February 2017 at 6:15 a.m. EST (1115 UTC), captured by NASA’s Aqua satellite (image credit: NASA Goddard MODIS Rapid Response Team). 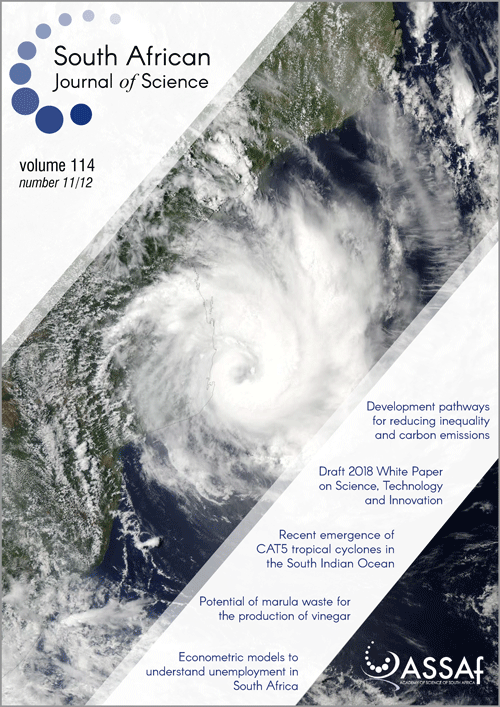 Fitchett explores the recent emergence of CAT5 tropical cyclones in the South Indian Ocean. Are managed pollinators ultimately linked to the pollination ecosystem service paradigm?